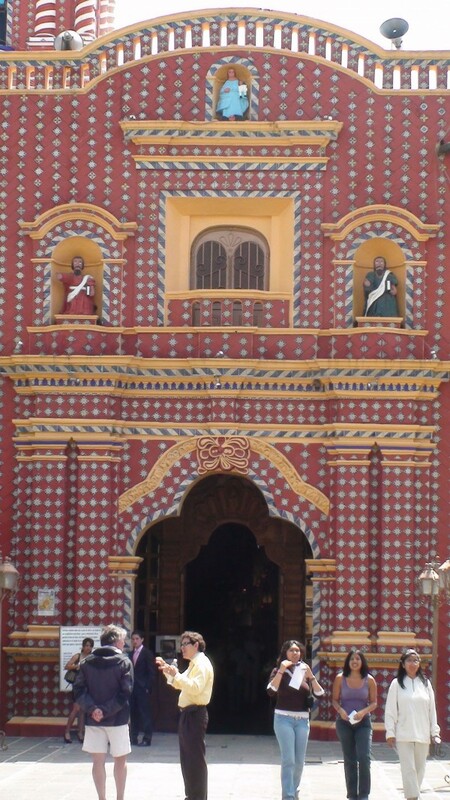 Cholula is a city and district located in the center west of the state of Puebla, in central Mexico. 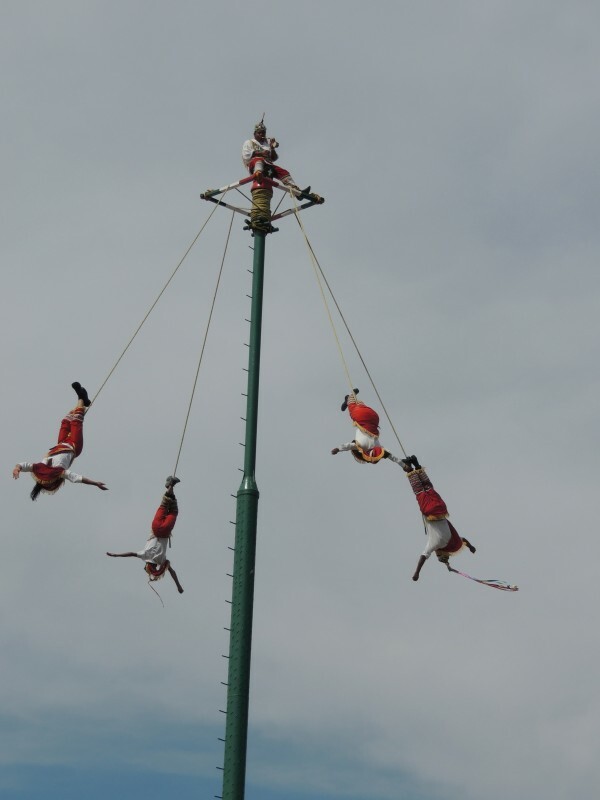 The city is unified by a complicated system of shared religious responsibilities, called cargas, which function mostly to support a very busy calendar of saint’s days and other festivals which occur in one part or another almost all year round. The most important of these festivals is that dedicated to the Virgin of the Remedies, the patron of the city in its entirety and occurs at the beginning of September. 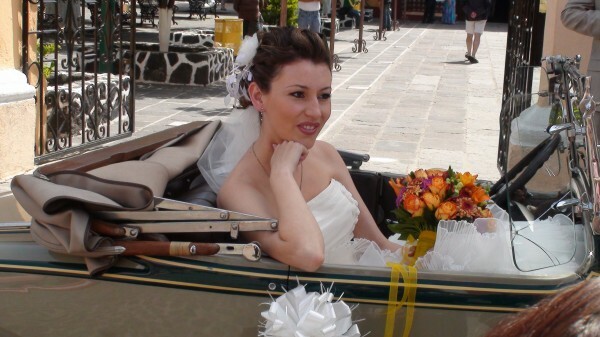 The city is located on flat plains of the Valley of Puebla, with Popocatépetl and Iztaccíhuatl visible to the west. The plaza (above) is filled with vendors selling typical street food, sweets and handcrafted toys for children and people preforming some Indian platform events below. 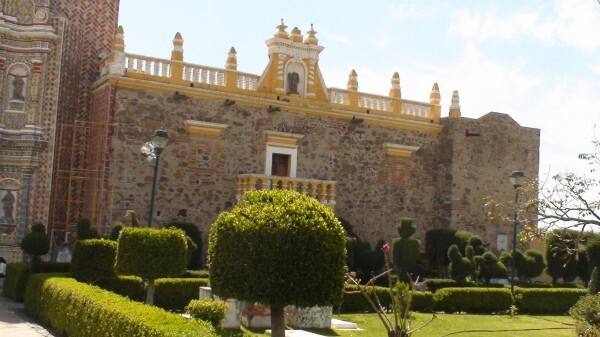 The main plaza of the city is located in the municipality of San Pedro Cholula, but the Great Pyramid, located only a few blocks away, is located in San Andrés Cholula. 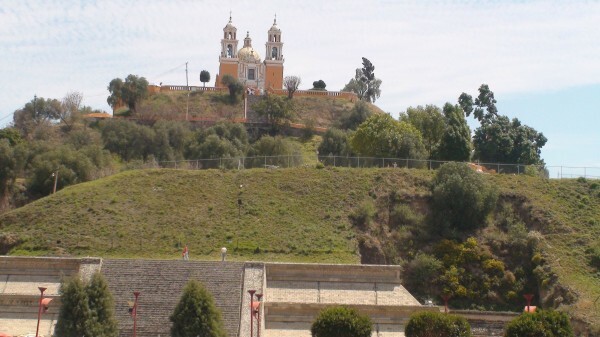 Cholula is best known for its Great Pyramid, with the Nuestra Señora de los Remedios sanctuary on top and its numerous churches (below). At first glance, the pyramid looks like a hill as most of it is overgrown. The south side of the pyramid has been excavated and there is a network of tunnels inside. The pyramid and church receives about 220,000 visitors each year, and on certain special occasions such as the spring equinox and the feast of the Virgin of the Remedies, there can be up to 20,000 visitors at a time. 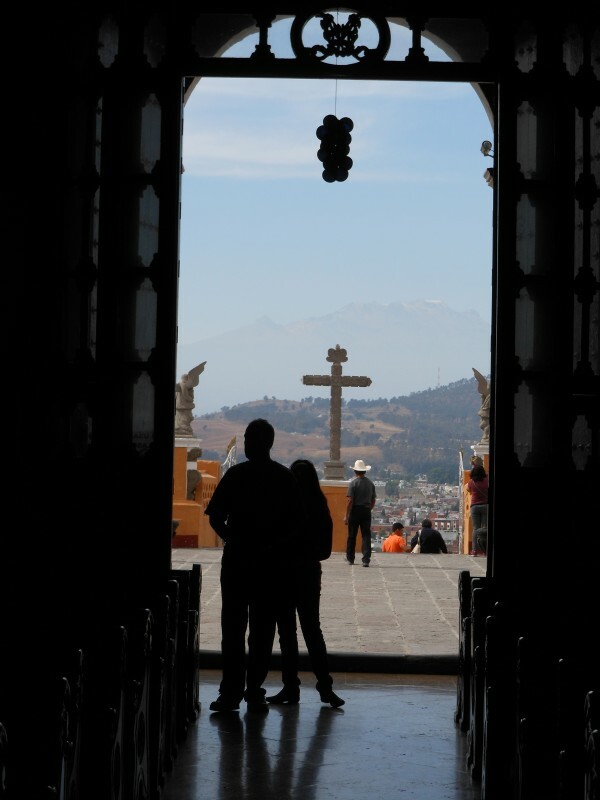 From the top of the pyramid, (above) in the sanctuary atrium, it is possible to see the Malinche, Popocatepetl, Iztaccíhuatl and Pico de Orizaba Volcanoes in the far eastern horizon. 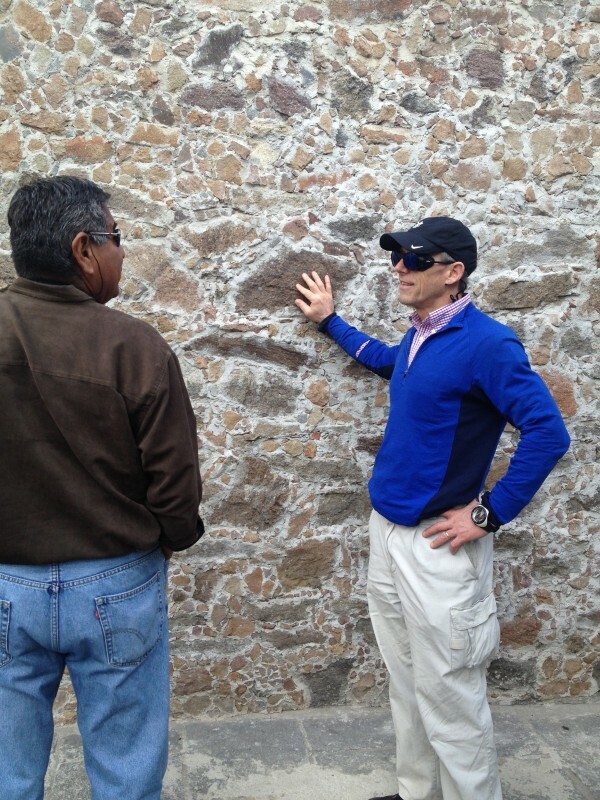 (we climbed Orizaba the higest see that section). The building of the pyramid began in the pre Classic period and over time was built over six times to its final dimensions of 120 metres (390 ft) on each side at the base and eighteen meters tall. This base is four times the size of that of the Great Pyramid of Giza and is the largest pyramid base in the Americas. Some of the pyramid constructions have had burials, with skeletons found in various positions, with many offerings, especially ceramics. However, the pyramid has been overgrown for centuries. By the time the Spanish arrived, the pyramid was overgrown, and by the 19th century it was still undisturbed, with only the church built in the 16th century visible. Northwest corner of the Patio of the Altars, excavations have dug about 8 kilometres (5.0 mi) of tunnels inside the pyramid, which began with two in 1931 to prove that the hill was an archeological find. 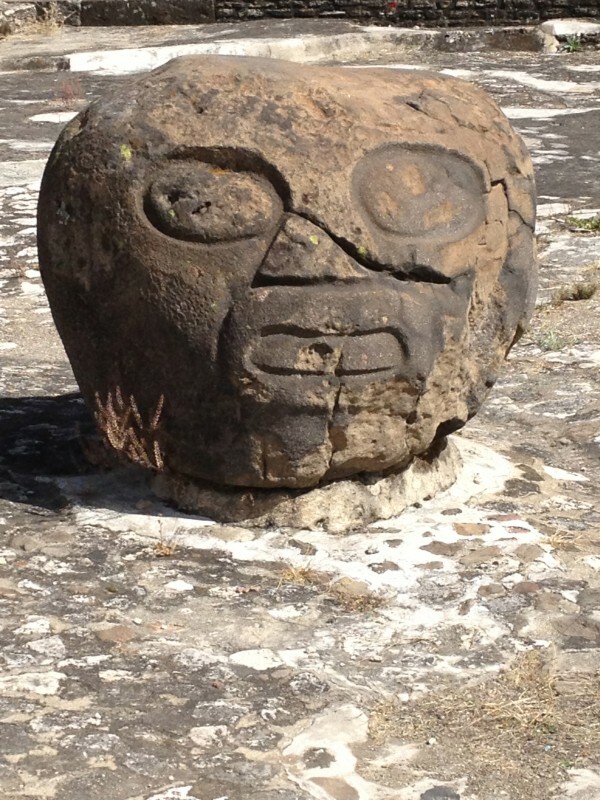 Within, he discovered altars with offerings, floors, walls and buried human remains from around 900 CE. Today, only about 800 meters of these tunnels are open to the public, which have been made into well-lit, arched passages (we traveled through those tunnels) . Visitors enter on the north side, through the center of the pyramid and exit on the south side. There are few signs explaining the structures within, but in one section allows a view of main staircases of one of the pyramids, whose nine floors have been excavated from bottom to top. There are also two famous murals. 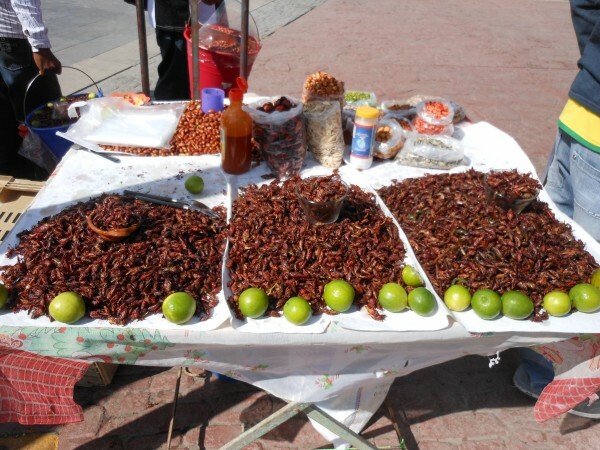 One is called “Chapulines” which consists of images of grasshoppers with a black skull in the middle. And the other is the “Bebidores” which depicts various figures drinking out of vessels most commonly used for pulque. 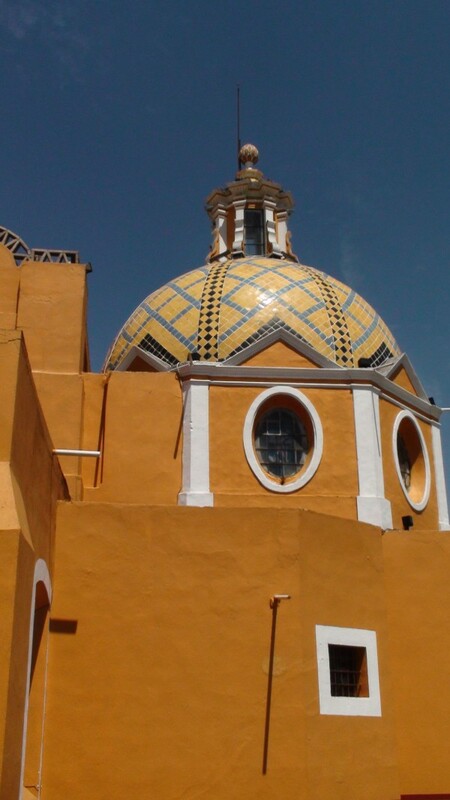 Nuestra Señora de los Remedios church is the Church on top of the Myan temple. 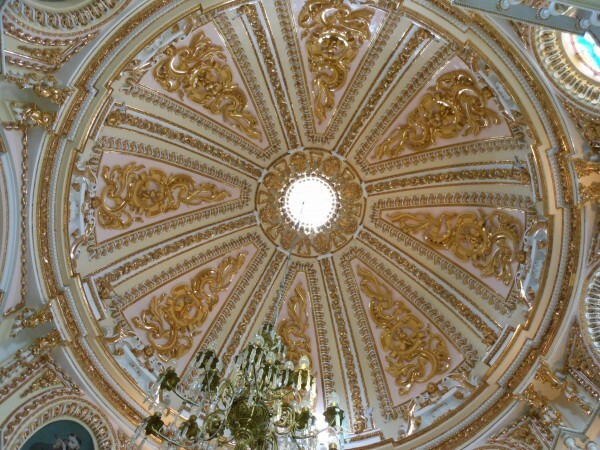 The sanctuary to this Virgin manifestation was established in 1594, with the first church built between then and 1666. The church has suffered damage on various occasions from lightning strikes and from earthquakes. 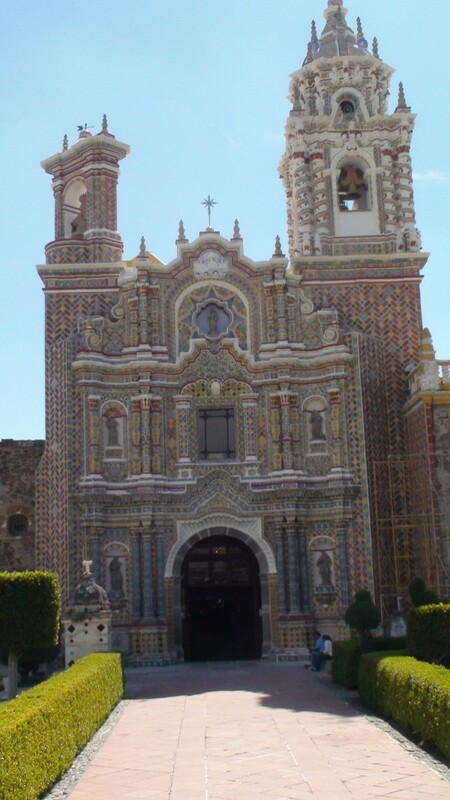 In 1864, the church was almost completely destroyed by an earthquake. The next major quake to damage the building came in 1999, which damaged the towers and caused the pilgrims’ portal to collapse, with damage to 80% of the building. However, the image of the Virgin, in her Fabergé box, was undamaged. We visited other churches below. 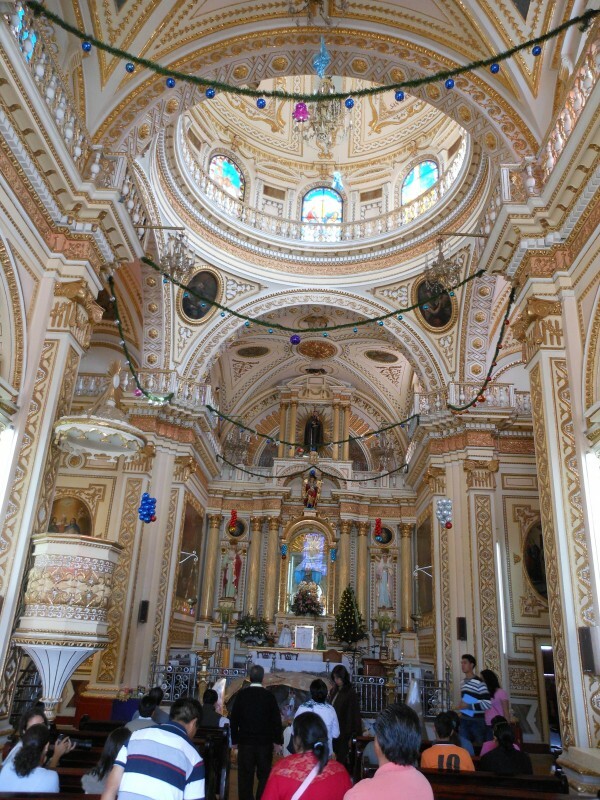 This one is called San Fransican de Acatepe and is awesome very Baroque. Cool Alhambra church from Spain. Look at the Islamic influence. Bob Ottenritter above and we were invited to this wedding below outside the church. Wow way cool!!!! She is so beautiful and the church and service were just as incredible. Lets all move here.